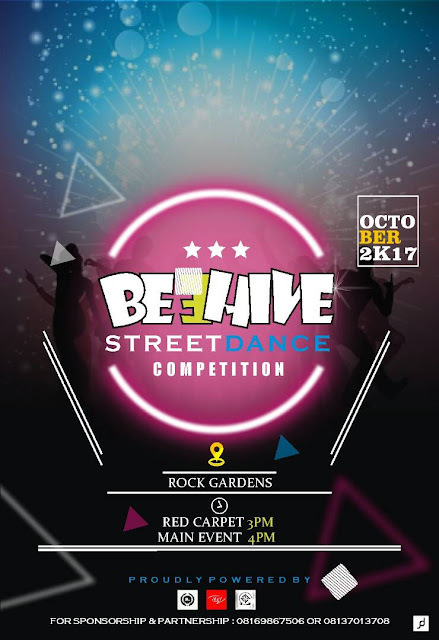 The lovers of entertainment or residence of Beehive and Beyond are expected to march on to ROCK GARDENS at Rafin Zurfi to witness the most anticipated event of the year tagged BEEHIVE STREET DANCE COMPETITION , first of its kind set to diversify the entertainment hub in the hive, musical and dance performances will be presented at the venue to crown the best street dancer(s) of the year by our carefully selected judges. The event is free and open to the general public; no tickets or reservations are needed. BSD stewards will be on hand to talk directly with individuals about how to manage and preserve their collections. There will also be flyers and printed information available.